Different Bankruptcy Options are available for individuals and small businesses considering bankruptcy. Different chapters provide different solution in resolving the financial difficulties faced by individuals or small business. It’s important that we systemically explore the bankruptcy options available and find the solution that is best for the debtors. To systematically approach your options we need to understand the bankruptcy disclosure basics. The different bankruptcy chapters, ch7 & ch13. The requirements to filing bankruptcy. The bankruptcy process. 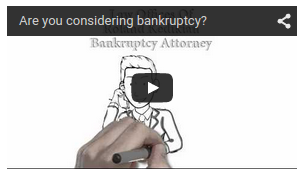 We will then determine if you should file bankruptcy and what to expect . Also known as straight bankruptcy. Under chapter 7, you do not pay back unsecured creditors. The process lasts 4 months from filing to discharge. All unsecured debt is wiped out. Taxes and Student Loans are NOT discharged. If you want to keep secured property, you just continue making payments. Most of the time you keep most of your property. Chapter 7 required that individual debtors qualify for chapter 7 and pass the means test. Small businesses are not required to pass the means test. However a small business can not survive under 7 and must dissolve. Also known as Payment Plan bankruptcy. You pay back over 3 – 5 years your disposable income. The process lasts 3 to 5 years. All unsecured debt and back taxes is wiped out. Student Loans are NOT discharged but paid equally as other unsecured creditors. Second mortgages May be removed. You usually can keep more assets than in chapter 7. Which chapter to file under? Usually chapter 7 is a better alternative. 80% of bankruptcy filings are ch7. You must pass the Means test to file ch7. If unable to qualify for chapter 7, chapter 13 can be done with minimum payments. Sometimes ch13 may be to your advantage. Chapter 13 is voluntary and you can dismiss if not workable for you. Documents you will need for your attorney for ch7 or ch13. Pay stubs for last 60 days. Tax return for the last 2 years. Recent credit card statements and collection letter. Any and all documents from anybody claiming you owe them money. Mortgage and car payment statements. 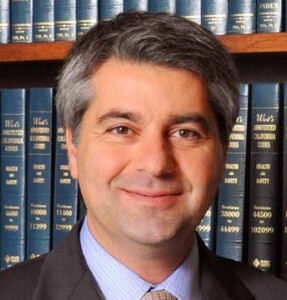 Initial meeting with the attorney to explore all your bankruptcy options. Then you will need to complete the 1st Online course. Prepare and file the bankruptcy petition. Attend Creditors meeting 30 days after filing of the petition. Complete the 2nd Online course. Then obtain the discharge.